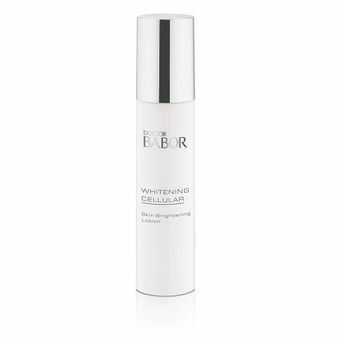 Babor Whitening Cellular Skin Brightening Lotion is an active combination that helps achieve more even pigmentation, skin tone and counteract melanin formation on two levels. This combination effectively reduces the formation of lipofuscin and inhibits melanin synthesis. Reduces hyperpigmentation for a more evenly pigmented, lighter skin tone. Restores the skin's youthful radiance. Ideal to use as a day cream.